Some have gold leafed edges and others have natural, rough edges. 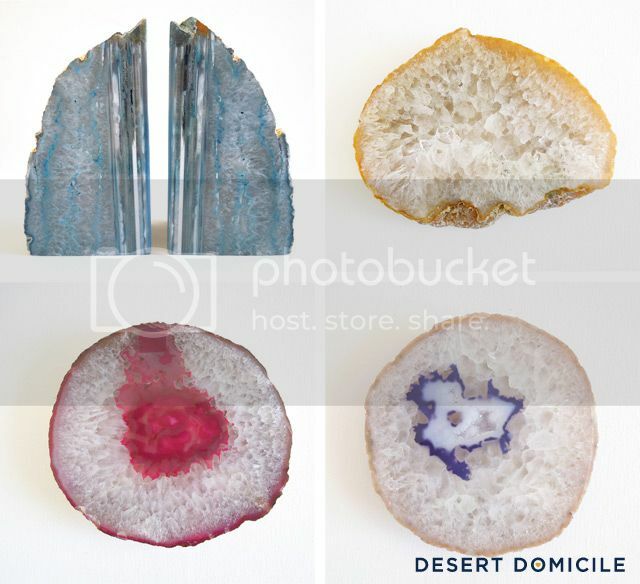 I know agate items are really on-trend right now but I also know they're not for everyone so I was wondering if there was another type of item you'd like to see in my shop? Everything is so so gorgeous! i love the gold leaf edges the best! So beautiful! I was styling something today and thinking about how I needed some of these in my arsenal!! What beauties! Over the weekend, we were at an Indian Trading Post in Idaho, and I saw lots of agate slices and thought of you! There were little ones that were made into keychains, right next to the keychain dream catchers. I hope your shop is doing well!